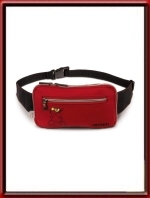 Nici Ferrari Waistbag - Red. Red Ferrari T-Shirt with large Scudetto shield logo for kids. 100% Cotton with large Scuderia Ferrari logo print. Ferrari Bathrobe - Kids Sizes. Features a Scuderia Ferrari logo patch on the left chest. Comes in a gift bag. Nici Ferrari Pluche Pen Holder - Brown. 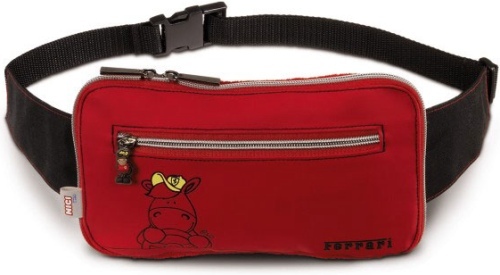 This official Nici Ferrari Pen Holder is made of extremely soft and high quality pluche and comes in the shape of Nici the Ferrari horse who carries a Ferrari branded hat. It measures some 28 cm or 11 inches in length. Nici Ferrari Pluche Pen Holder - Black.